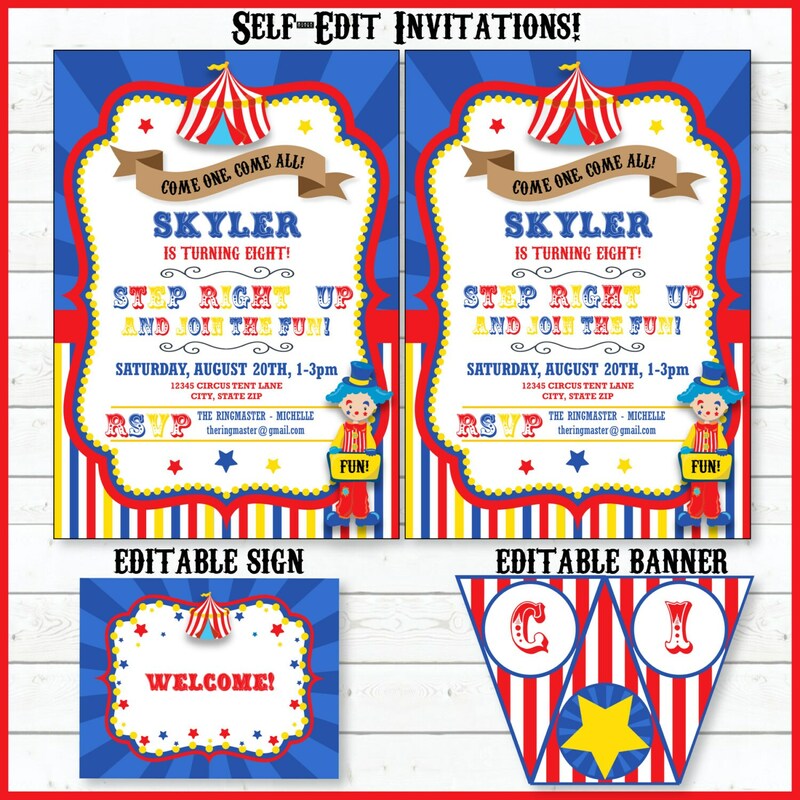 •This listing includes an instant DIGITAL Download for a Circus/Carnival theme party!! 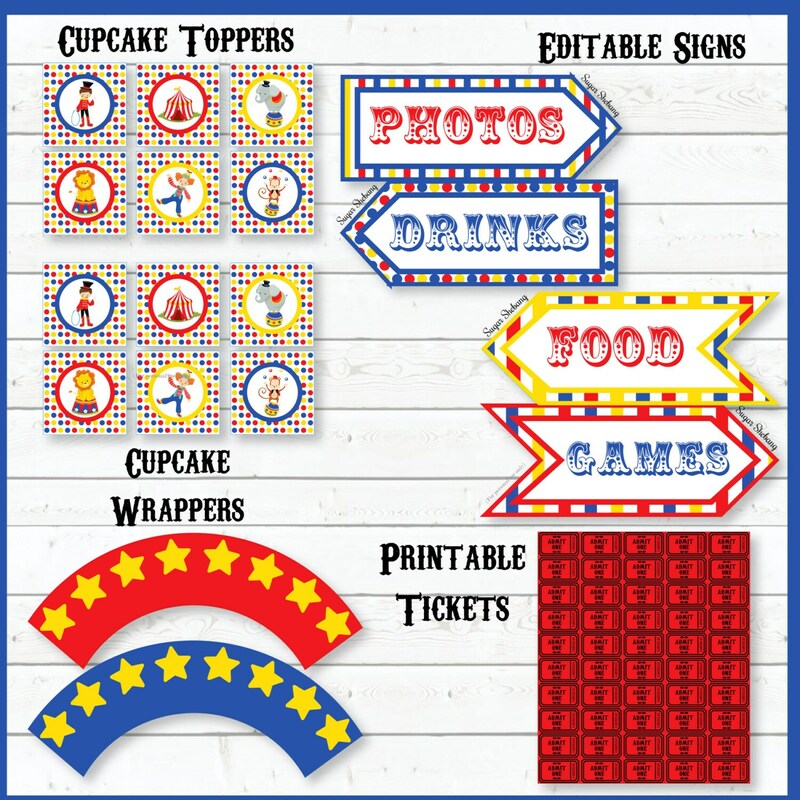 It's easy to customize- just type over the sample text and print off as many times as you need! Start immediately! 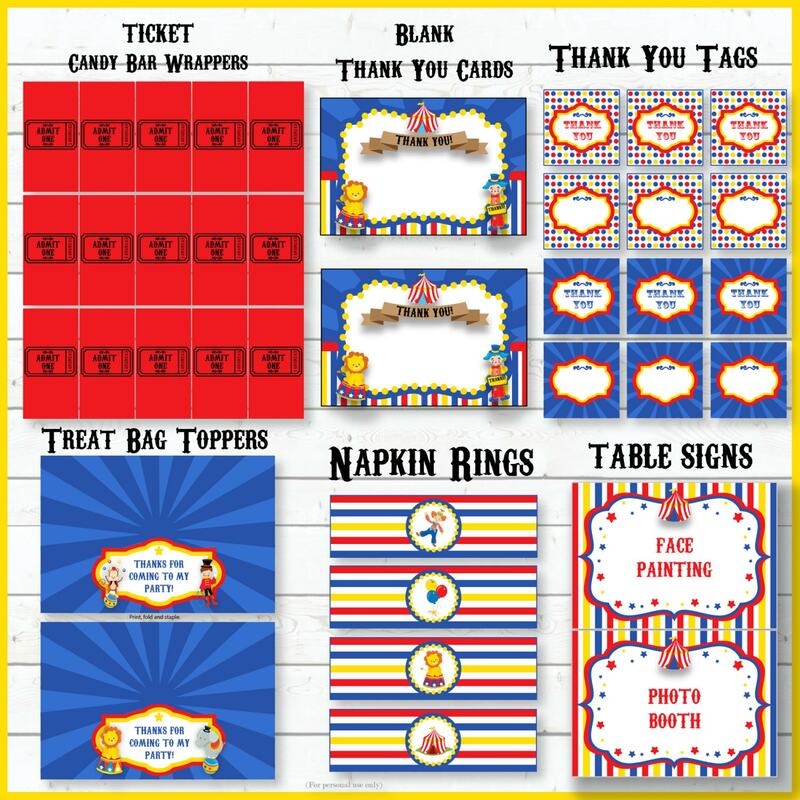 If you would like to have me customize the party pack for you, please contact me and I will set up a custom listing for you ($10 more). Open Adobe Reader FIRST and then go to "File>Open" to open the files. You can also access the file instantly for download by clicking on your purchase history ("You>Purchases and Reviews"). You will need to download Adobe Reader at this URL: https://get.adobe.com/reader/. The file will have text fields for you to add your own text. 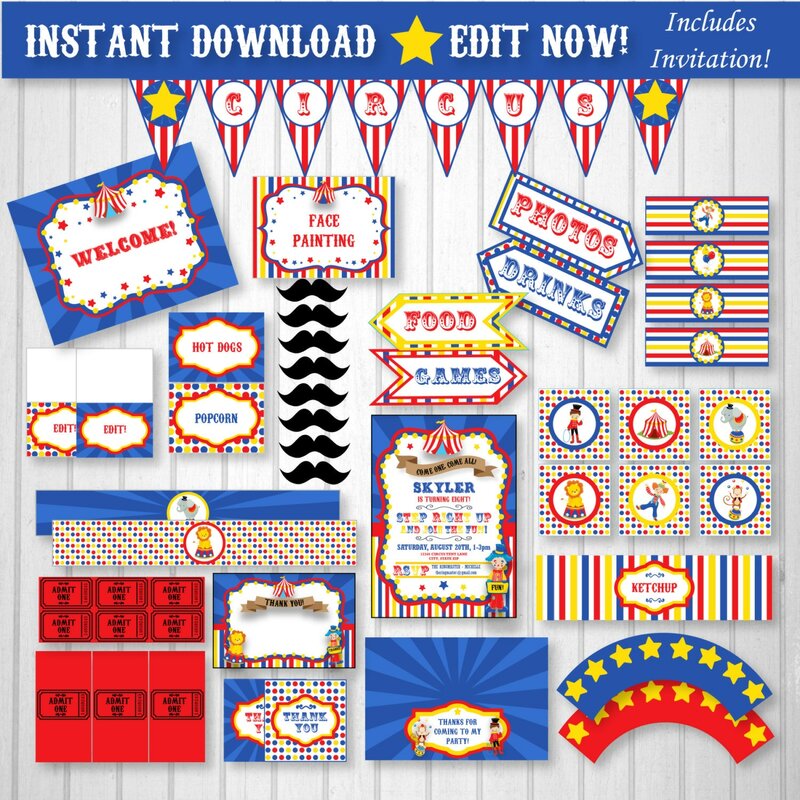 Please read included instructions for details (use Ctrl + E to open text bar). Files will ONLY work in Adobe Reader! Please remember that some text will only work with the CAPS LOCK key "ON"
► MAC users need to open files directly from Adobe Reader and NOT Preview. 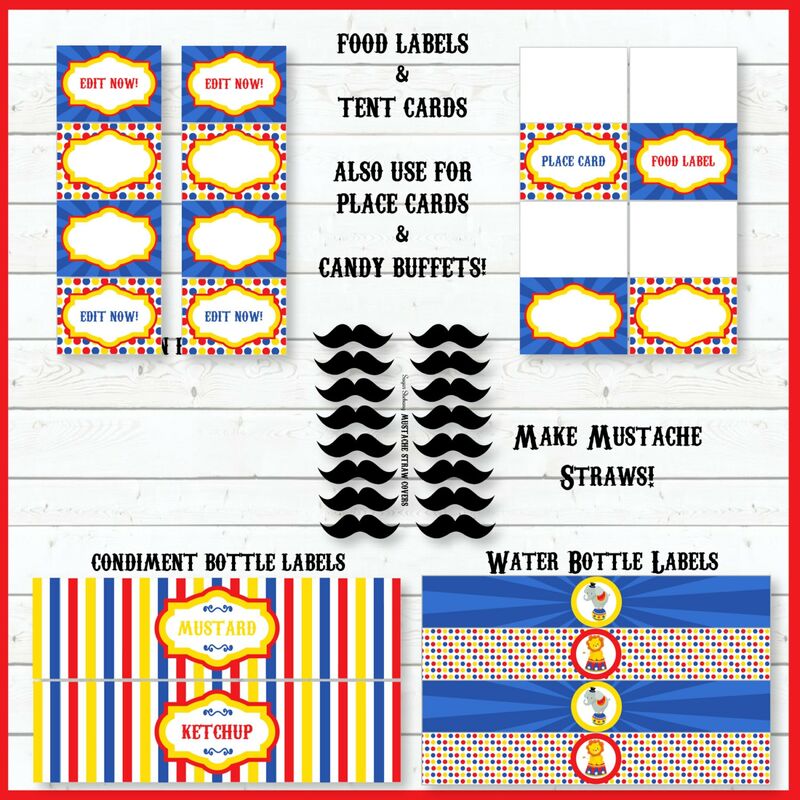 These are not JPG files and so CANNOT be printed at photo labs like Vista Print and Walmart.